A devastating survey. 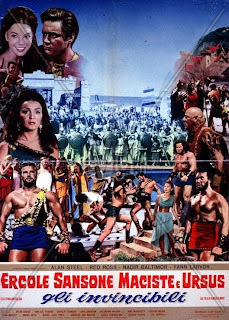 Of these, I can recall seeing only Colossus and the Amazon Women, which entertained me unintentionally, and Ali Baba and the Seven Saracens, a worse film than which in this genre is hard to imagine. But thanks for the warnings, just the same. I think I might have seen half of these when I was a kid. @ Sam: I had actually written this about mid 2011, I just needed to beef it up a bit, pardon the pun, lol! 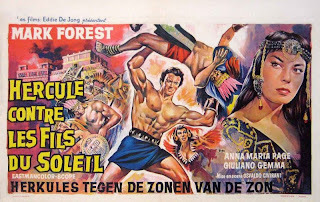 COLOSSUS AND THE AMAZON WOMEN is actually pretty funny in places and dismal in others. I've thought more than once about purchasing the Italian dvd just for the good quality despite the lack of English options. 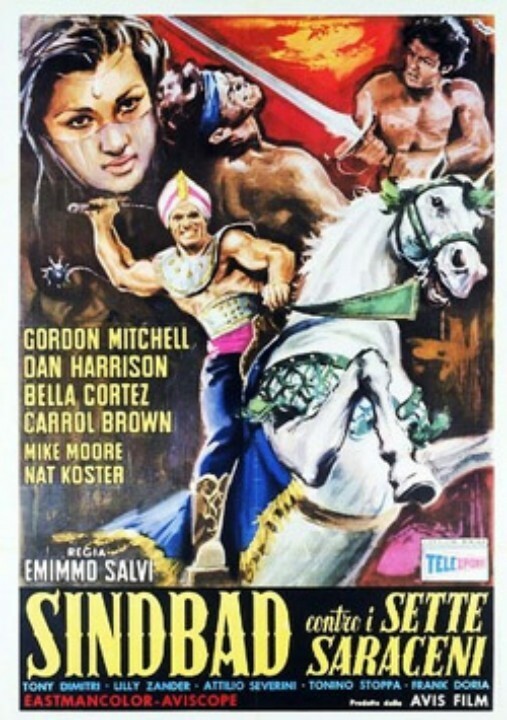 I have the Spanish disc for SINBAD/SARACENS and the gorgeous widescreen picture makes the colors truly stand out, but doesn't make the film any better, lol. @ Max: You, too?! These used to come on TV on a regular basis when I was a kid and I loved watching them. 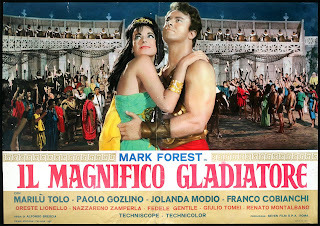 It was like watching ancient Greek versions of SUPERMAN every weekend. I never seen any of it, sadly. But I do notice most of it's from Italy. 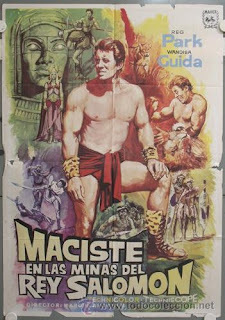 If you got the time, you should try seeing some of our fantasy epics from my country. It's kinda like watching films in the same budget. Thankfully, I haven't seen any of these. I don't intend to either. 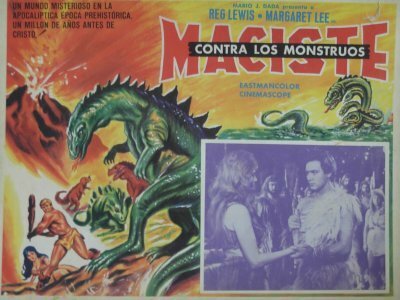 @ Kaijinu: I have a few old Filipino horror films, but I don't think I've seen any of the fantasy genre from there. No doubt they are interesting! 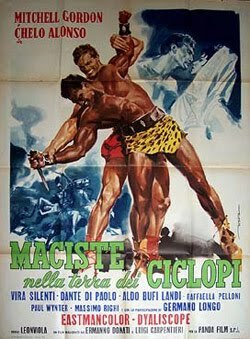 Some of these Italian strongman epics were quite extravagant, but there were many that weren't but even some of the worst ones are a lot of fun! @ George: There are a few on here that are a good deal of bad movie fun if you like that sort of thing. There was a brief resurgence of these in the 80s led by a few Lou Ferrigno movies that epitomized 'so bad it's good'. 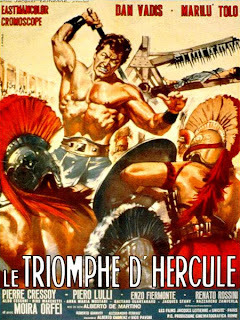 Kindar, Herc vs Moloch, Triumph of Hercules, Samson and the Mighty Challenge, Colossus and the Amazon Queen, etc. 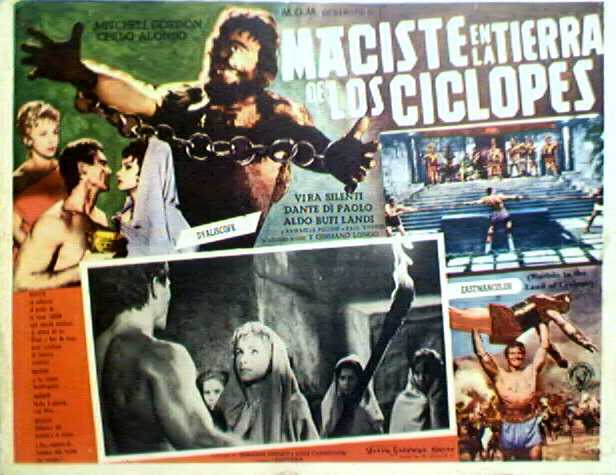 Maciste against the Mole Men is a great over-the-top S&S and Loves of Hercules is campy fun. 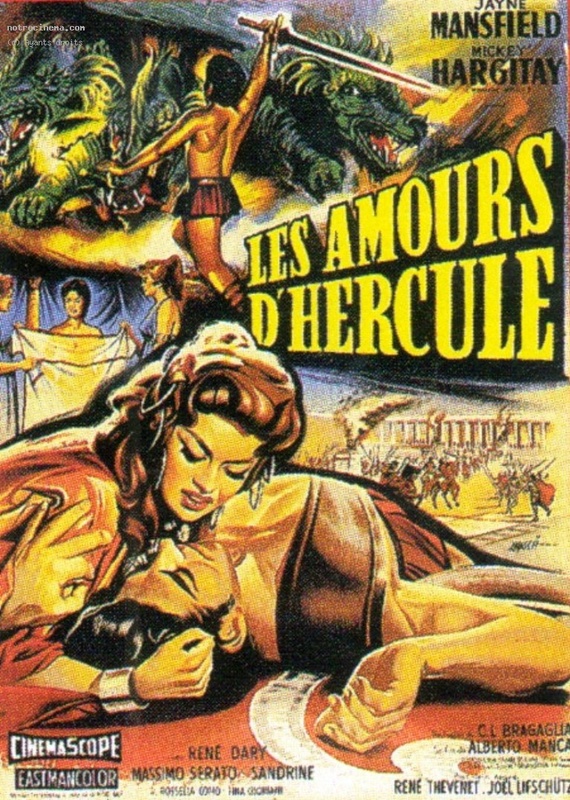 Hercules the Avenger should be no 1 on the list as it's just a patchwork of other films. 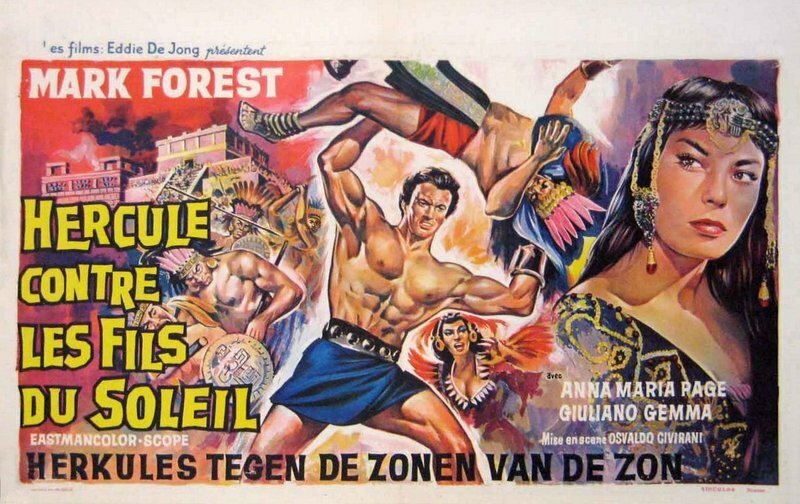 The fight scene is a classic but the rest not so. Where are the S&S of the 1980s? 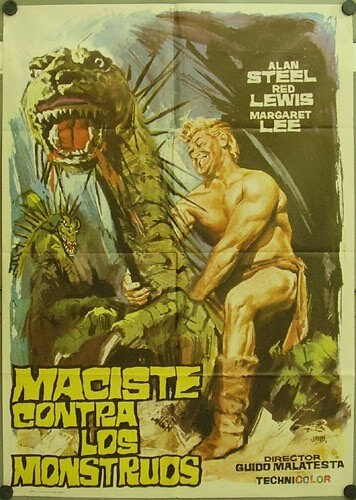 Like, you know, masterpieces like HERCULES starring Lou Ferrigno and HAWK THE SLAYER starring Jack Palance. In fact the top 20 would be filled with these and not the classic titles from the 60s. 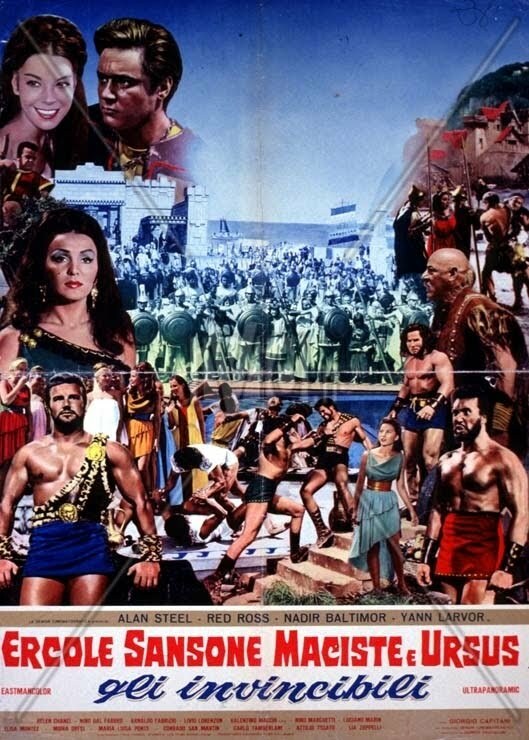 Also where's ATLAS the Roger Corman super cheapie? Many of the titles that don't deserve to be on the list are a 1000 times more entertaining than ATLAS, which is terribly inept from beginning to end. These are in no particular order, but by year of release. I did specify that some of these provide entertainment value and mention that in the capsule reviews that apply, but none of them would I call a particularly good movie. MACISTE IN KING SOLOMON'S MINES comes the closest, but Park doesn't seem at all interested. Dan Harrison seemed more alive in that one. MOLOCH is just ponderous and my favorite fusto actor Scott has scarcely little to do to save the film. It's possibly the most disappointing for me considering Scott is so mesmerizing onscreen. 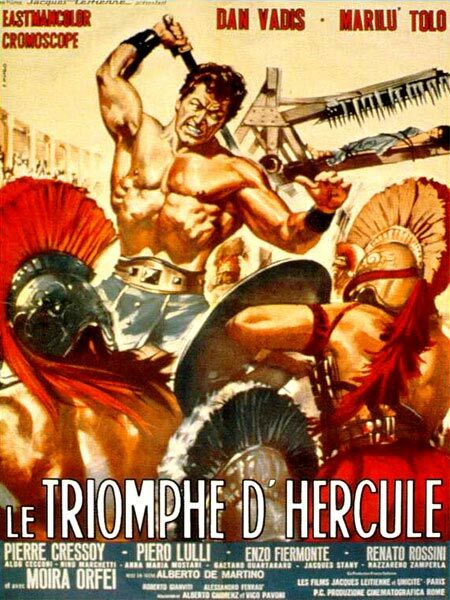 TRIUMPH OF HERCULES is one of my favorites from childhood, but it's awfully stupid despite all the great action and cliffhanger moments. It's pure escapism, but not what I'd call a good example of the genre. 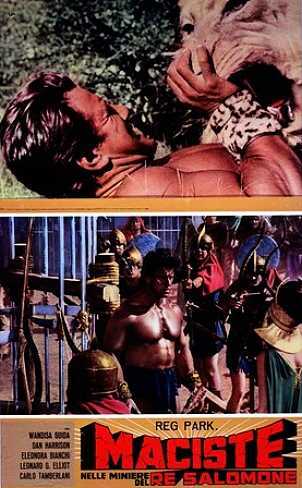 For starters, HAWK THE SLAYER isn't a Sword and Sandal movie. It's a Sword and Sorcery picture. 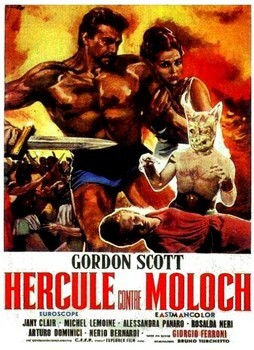 It has more in common with STAR WARS than HERCULES. I can't cram but so many on the list at one time. But rest assured another is forthcoming as is another list of addition 'Best Of'. Bear in mind this is MY OPINION. If you so wish, please do your own list as I have specified my reasons for including the titles that I have in the paragraphs provided; if you read them, of course. From the very first paragraph in fact. I thought of including all of the Ferrigno farces, but chose not to. Again, there's too many to cram in at one time. But in all honesty, there's no way in hell any serious fan of the genre is going to consider any of these movies on this list as a bonafide classic of the genre. A camp classic for some, perhaps, but that doesn't make those "good" movies. 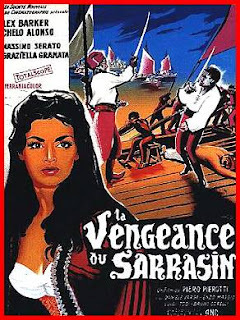 A fun movie, yes; but good movie, no. 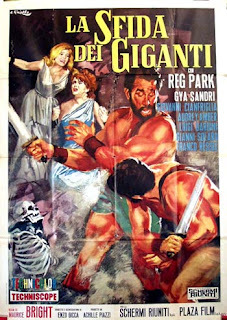 I beg to disagree about HAWK THE SLAYER not being a Sword & Sandal. 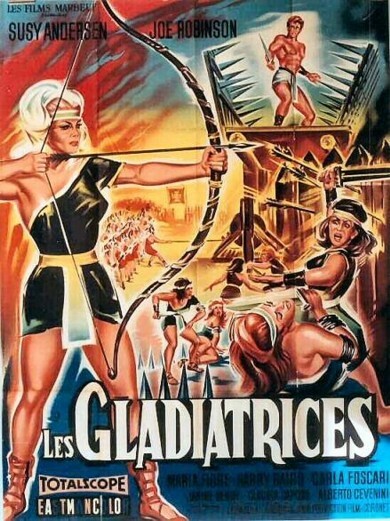 It's the same genre: action that takes place in Antiquity or Medieval times. 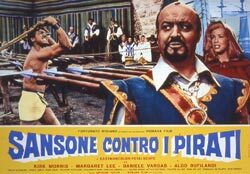 Are sword and sandal and sword and sorcery related? Yes, but they are not the same genre. 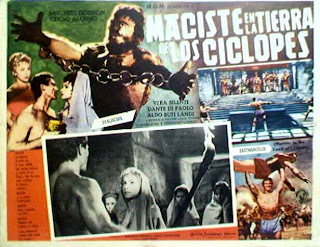 One is based on Greek or biblical myth and the other takes its cue from pulpy novels/comics. 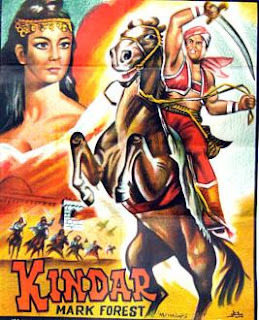 By YOUR description, you may as well consider chambara, kung fu/swordplay and westerns as 'sword and sandal' movies, too. 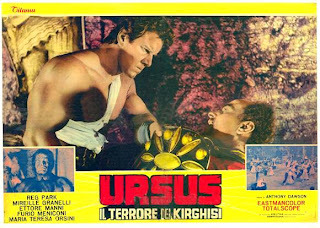 And you can't cram just a few fusto movies from the 80s into a top 20 worst of list when all there was were those two crappy Ferrigno Hercules movies and that even worse 7 MAGNIFICENT GLADIATORS from 1983. The horrendous Ferrigno Sinbad movie barely scrapes by as much as the pirate adventures do here. And you have contradicted yourself by claiming STAR WARS to be a peplum(?) Those movies take place in a galaxy far, far away. Nothing antiquated or medieval about them. And Lucas' influences were anything but Hercules, Samson and Ulysses. 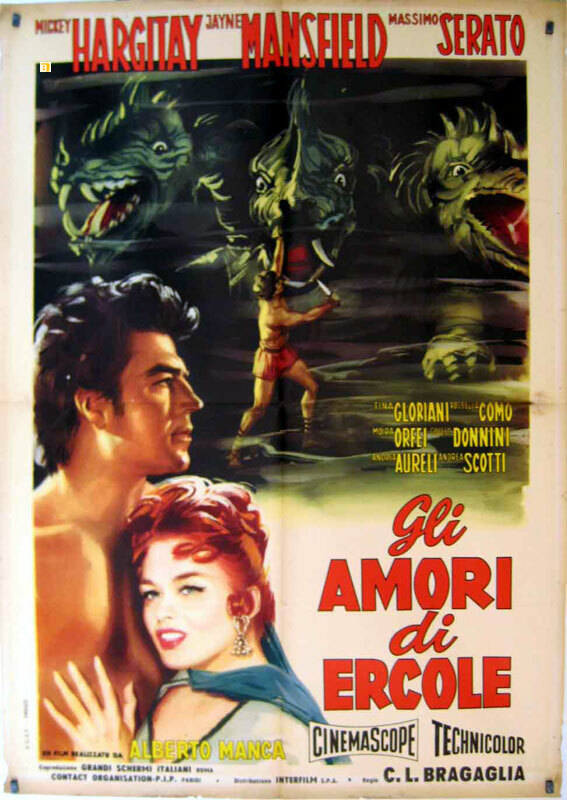 It was Flash Gordon serials and Japanese samurai pictures. When you do YOUR list, don't forget to include HAWK THE SLAYER and STAR WARS among your selection. An absorbing and interesting summary Brian, and one which is particularly illuminating to one such as I, who can claim to have little or no knowledge of the 'Sword & Sandal' cycle. It's the one grey area in my knowledge of popular Italian cycles. I notice you have a little debate going with PEPLUM Cinema about the fluidity of the genre. I guess with a name like PEPLUM Cinema, he must be the expert? I'm not an expert and even with my brief dalliance in 'Sword & Sandal' movies and 'Sword & Sorcery' movies, I can tell the difference. 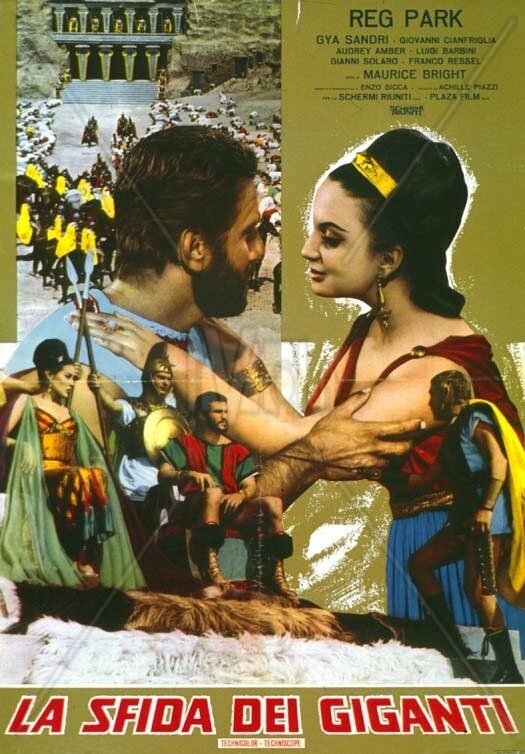 To the best of my knowledge George Lucas has never cited 'Sword & Sandal' films as an influence on STAR WARS. 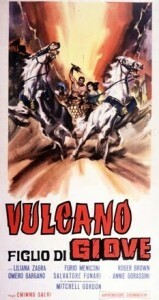 The influence of Kurosawa's THE HIDDEN FORTRESS is notable (an influence Lucas has readily stated), as you note FLASH GORDON serials, but also the traditional American Western. It depends what generic approach you take, I don't wish to get too theoretical here, but I can't think of any approach which would conclude STAR WARS is a peplum. Perhaps this fellow who argues such ought to change his name? 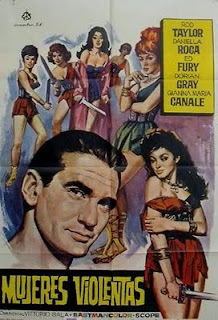 May I suggest NOT SURE WHAT A PEPLUM IS cinema? I bid you adieu buddy! I know I'm late (really, REALLY late) to the party in commenting on this but I just wanted to say that SAMSON & THE MIGHTY CHALLENGE was subject to a comedic overdub in HERCULES RETURNS. Even that couldn't completely redeem it.